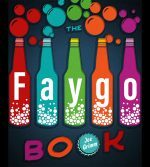 Joe Grimm wrote The Faygo Book after building up a tremendous thirst working on Coney Detroit with Katherine Yung (Wayne State University Press, 2012). A lifelong Detroit-area resident and twenty-five-year veteran of the Detroit Free Press, Grimm is a Michigan State University journalism professor. His favorite Faygo flavor is Rock & Rye. In Coney Detroit, authors Katherine Yung and Joe Grimm trace the history of the coney island restaurant, which existed in many cities but thrived nowhere as it did in Detroit, and surveys many of the hundreds of independent and chain restaurants in business today. In more than 150 mouth-watering photographs and informative, playful text, readers will learn about the traditions, rivalries, and differences between the restaurants, some even located right next door to each other. Not a book to be read on an empty stomach, Coney Detroit deserves a place in every Detroiter or Detroiter-at-heart’s collection.